Give your car the ideal home with the Malayan Log Garage. This spectacular UK manufactured log cabin is designed to a professional high level specification and offers ample room to suit nearly all cars, motorbikes and other vehicles. Perfect shed , great quality would highly recommend . Really pleased with this product arrived at the predicted delivery time driver very helpful, i'm 66 and erected it in 3 half days with everything ping perfectly in to place, my advise would be to ensure the base is level and lay out all the components in there respective sizes and identify the parts before starting the build i also watched a few youtube videos about the build as well, excellent product. Excellent delivery service... Although I employed a carpenter to erect the Garage, he found some of the instructions were hard to understand, so I believe they need to be reviewed especially for The novice, however your sales team were at hand to help out) I still wonder why I seem to have a few extra pieces that do not appear to go anywhere, but I shall keep looking!! The order arrived earlier than expected. The delivery driver was excellent, he unloaded the order and put it exactly where we wanted it. 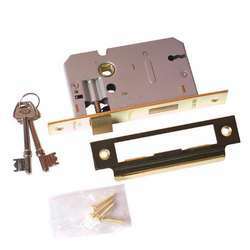 The product was as described and easy to fit together in a weekend. The only criticism is that the instructions are rubbish and the video on the website do not relate to the garage. They also don't give any indication as to where to put the nails and screws. 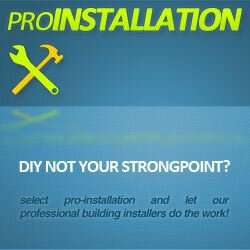 Overall we are very happy with the product. We are a large primary school and needed a large, secure, and long lasting shed. We needed something that could soak up the knocks and bumps that anything installed in a school would receive. 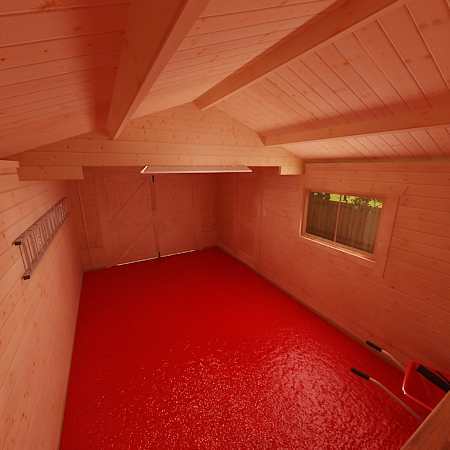 We are extremely pleased with the shed, which we had professionally installed and diy stained. The shed has not disappointed in any way and would withstand earthquakes and hurricanes I would imagine! Only slight downside is since installation the doors/frames have stiffened up so some planing of doors will be required this summer, but this is to be expected with natural timber. Would highly recommend this for light industrial use! Me and my wife spent a great deal of time researching different garages and understanding what would work best for us! We heard about Tiger Sheds and was very happy with how simple the website is to navigate and how friendly the staff are! Very good product! I received my Malayan Garage on Thursday and after a couple of days of enjoyable construction its up! I'm extremely happy with it. 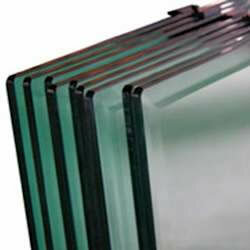 The product quality is excellent! Everything fitted together without the need for a chisel, and although the instructions were a little vague there's enough info on the net to sort everything out. Thank you Tigersheds. A great experience from start to finish! My wife and I had a great time building our 20x14 Malayan. This is a really high quality product - everything slotted together as it should and the result is consistantly admired by the neighbours. Building it was straightforward - I'm no woodworker but I can build an Ikea kitchen and this was easier - and much more fun. Thanks Tigersheds - I've no hesitation in recommending this great product. Give your car the ideal home with the Malayan Log Garage. 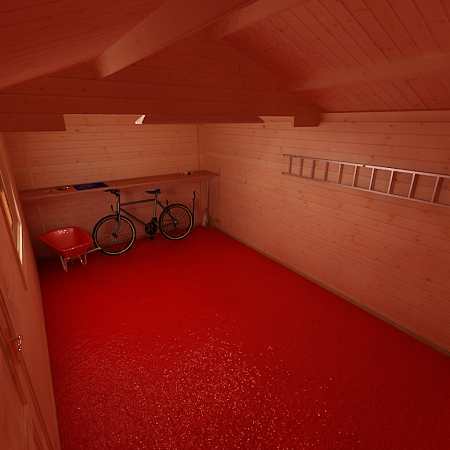 This spectacular UK manufactured log cabin wooden garage is designed to a professional high level specification and offers ample room to suit nearly all cars, motorbikes and other vehicles. The fantastic personal side door and opening window provides additional convenient access and natural light to this high quality 44mm log cabin. 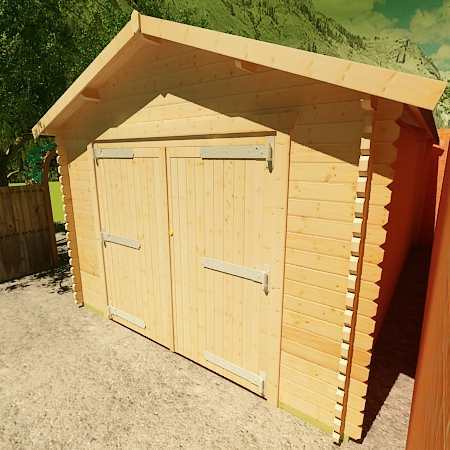 On the front gable of the attractive log cabin garage is a pair of lockable full height double doors ensuring extra security and protection for your prized processions. The Malayan Log Garage is constructed from heavyweight ultra thick 44mm interlocking logs meaning this log cabin is sure to last for years to come. Unlike many budget competitor products this log cabin garage is built with only the highest quality materials and many log cabins in the market simply cannot compare! THIS WOODEN GARAGE features high-grade 44mm interlocking planned and finished logs – beware of log cabins that feature rough edged boards machined from poor quality timber. 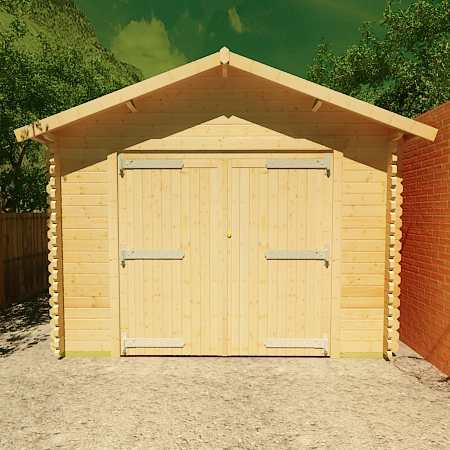 THIS WOODEN GARAGE feature a specially designed 4-way chamfered notch-joint system ensuring a tight fit to all boards with little room for damp or wind penetration – beware of log cabins that feature square cut logs with square notch-joint, often leaving a sloppy joint with large visible gaps. 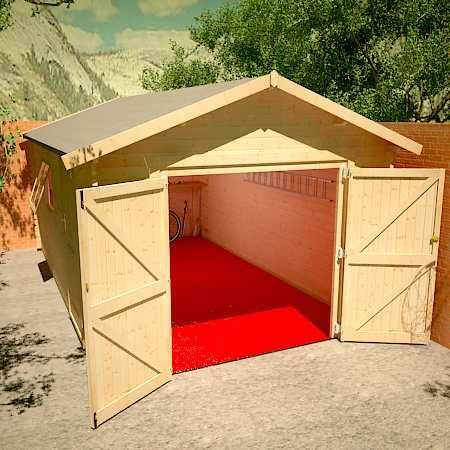 THIS WOODEN GARAGE features heavy duty green mineral roofing felt as standard, with the easy option to upgrade to premium quality roof shingles – beware of log cabins that come with no roof covering, leaving the cabin completely open to the elements. 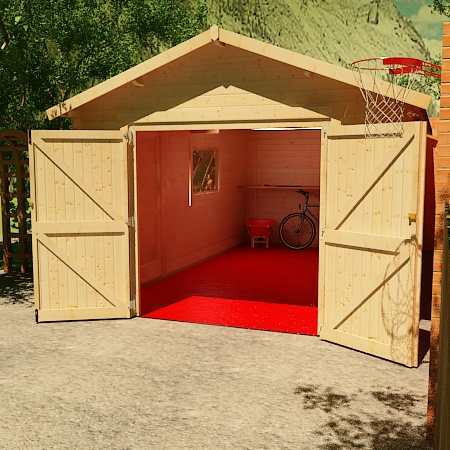 THIS WOODEN GARAGE features oversized extra large doors and windows – most competitor log cabins use narrow doors which can prove difficult for access. THIS WOODEN GARAGE features high quality glazing which is factory siliconed and internally beaded to all windows – beware of log cabins that feature lesser quality materials and provide no window beading. 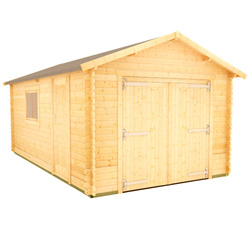 THIS WOODEN GARAGE features a generous all round roof overhang which protects the building from severe conditions – beware of log cabins with little or no roof overhanging leaving them vulnerable to the wind and rain. 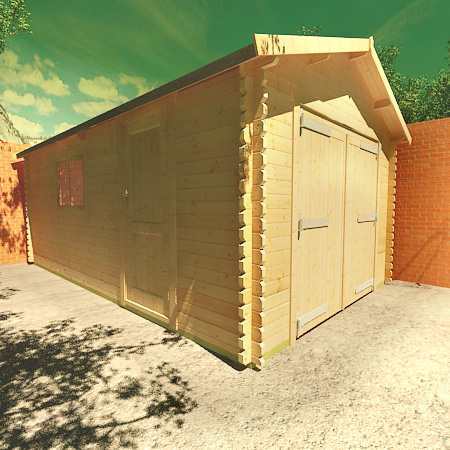 It is essential that this wooden garage is assembled strictly in accordance with the instructions supplied on a firm and level base constructed from a suitably durable material. It should also be treated as soon as is practical after assembly and then annually thereafter with an appropriate high quality preservative.